Moving a pool table is a huge undertaking. It has to be handled with care because it is heavy and delicate. Even the smallest mistake during transport can damage a pool table. Pool tables are very valuable and expensive. That is why when moving you should consider hiring professional pool table movers in Toronto to help. When moving, consider these tips and hire the best Toronto local movers for your relocation. Find the best pool table movers online. To successfully move a pool table, make sure to hire highly skilled professionals. You can do that if you conduct a thorough search. If you already have a pool table moving company in mind, make sure to check their credentials. Also, you should visit their facilities in person if you can. That way you will be sure that you are hiring reliable movers. 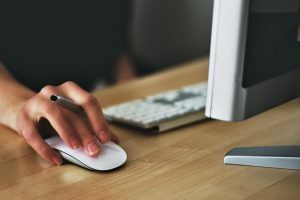 In case you are starting your search without the certain company in mind, you can search online. Make sure not to pick the first company that you like. Hiring pool table movers in Toronto is more than just calling the number from the first add you see. The reason for that is security. Keep in mind that various moving companies may offer various services. That is why the price of the move may vary and you should find the company that best suits your needs. On the other hand, similar pool moving companies may offer different quotes or estimates for your pool table relocation. If you conduct your search properly you may even save money when you hire pool table movers in Toronto. Finding more than one company is essential to a successful pool table moving process. That is because you should have more than one moving estimate to make a final decision. After you call the reliable pool table movers in Toronto for a quote, they come to do the estimate in person. They give you a quote and estimate the costs. After that, they usually explain the process and all of the costs included. The quote your movers give is like a future contract if you decide to hire them. Also, the quote should give you the idea about overall costs for the entire process. On the other hand, every quote may include various pool table moving service. After you receive more than one quote, it is easy to make a decision when hiring the best pool table movers in Toronto. Get a quote from pool table movers in Toronto before you make a final decision. When searching for the best movers for your pool table relocation in Toronto, make sure to find the movers that have years of experience. Your movers should be very professional and polite. 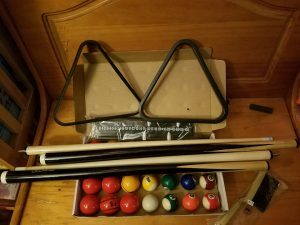 They should have all the necessary equipment for relocating your pool table. On the other hand, great moving companies and pool table movers have stellar references and great reviews. Most professional moving companies in Toronto that also offer pool table relocation services may have certificates of excellence. Also, they may have won various awards for their service. One of the most important things to consider is that your movers are insured while they relocate your pool table. Injuries may happen so it is best to be safe. If your movers are insured while injuries happen during your move, you will not be responsible. Your pool table movers should handle the delicate process with care. 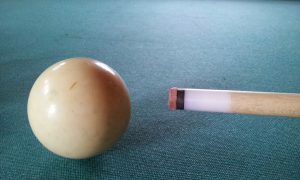 Sometimes even the smallest mistake can render the pool table useless. That is why it is important to check the insurance policies for you and your movers before you make a final decision about hiring relocation specialists in Toronto. Let your movers secure your pool table for transport. Keep in mind that the weight and the size can determine the pool table moving process. Sometimes movers decide to carry the table as is. On the other hand, that may not be the most common way to relocate a pool table. In most cases, your movers in Toronto should have all the necessary tools to first disassemble the pool table. After they carefully take it apart piece by piece, they will pack or secure each piece individually. When they disassemble everything, pool table movers in Toronto will prepare all of your pool table pieces for transport. After loading everything onto the moving truck, they will transport it to a new location. Your pool table has to be properly prepared if you plan to store it. If you need to store your pool table for a longer period of time, consider contacting storage professionals in Toronto. They will guide you through the whole process and offer you the best possible option. When relocating your entire household belongings long distance, your movers may include storage services in the moving price. After your pool table arrives at its destination, your local movers Toronto will reassemble it carefully. Keep in mind that the entire reassembling process may take some time. That is why you should choose trained and skilled professionals for relocating your pool table. Moving the pool table is a very delicate process. That is why you should consider getting the insurance policy for your move. Professional Toronto movers may offer you more than one insurance policy. If your belongings are the items of high value, make sure to contact your movers let them secure your belongings to the best possible standard. Professionals advise that you should let your movers relocate a pool table and other similar delicate and bulky items. If you are relocating to another state, let your long distance movers Toronto pack all of your items for you. They will use professional packing supplies and will pack everything with speed and efficiency.